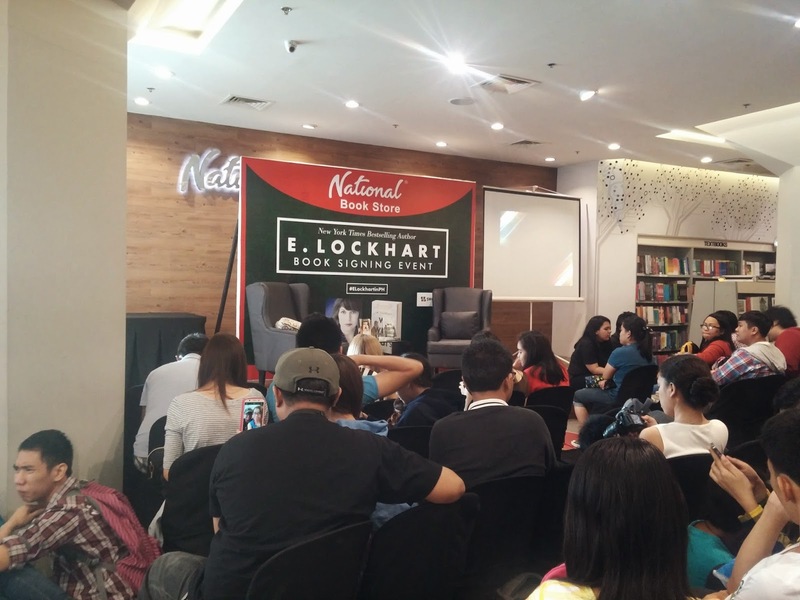 The author of We Were Liars, E. Lockhart visited the Philippines last March 22, 2015. It was one of the most fun book signings I've ever been to. 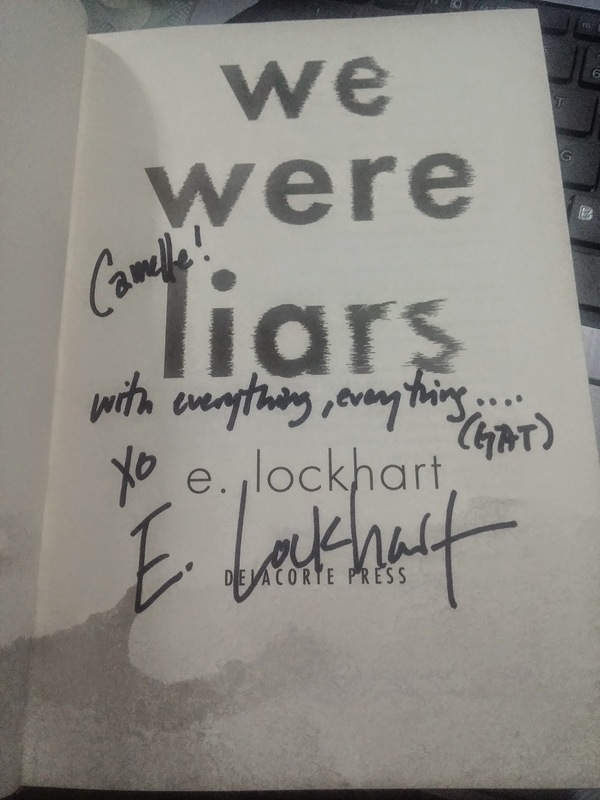 E. Lockhart is such a kind, cheerful woman. She makes her audience laugh because of how she talks and how she discuss things. I feel like her books always have an origin before she started writing it. When she started signing her books, it was so awesome that she entertain her fans. She asks things if they already read the book or if they should start reading it. 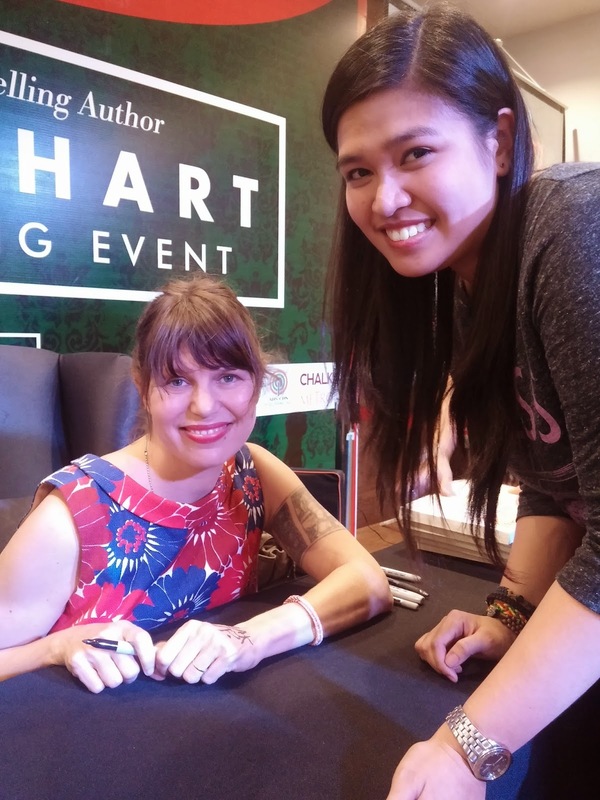 Meeting such an awesome author is really cool! And to be honest she's really pretty and I love her tattoo in her arm! I am hoping to see her soon again someday. I made a request to her though, I asked her if she could write a line or something that comes from Gat and this is what I've got. 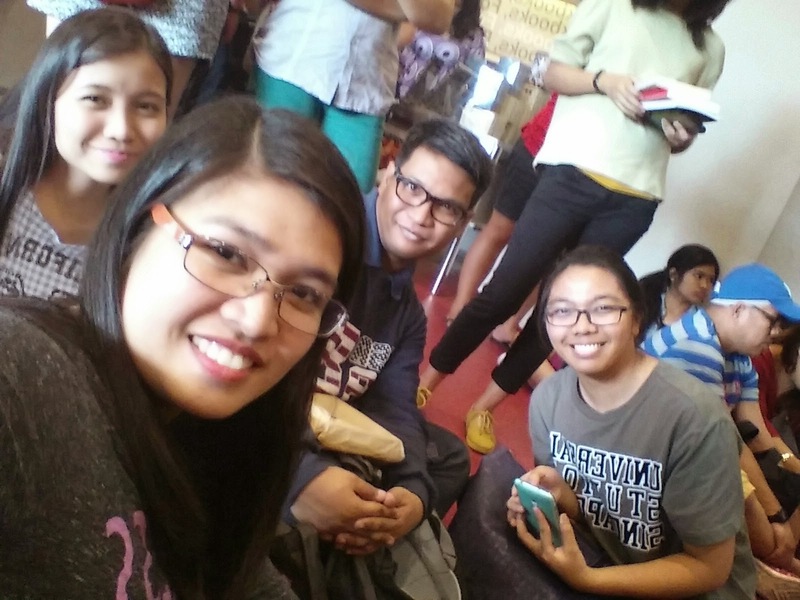 Of course this day won't be too awesome without my fellow bookworms. I can't ask for more. 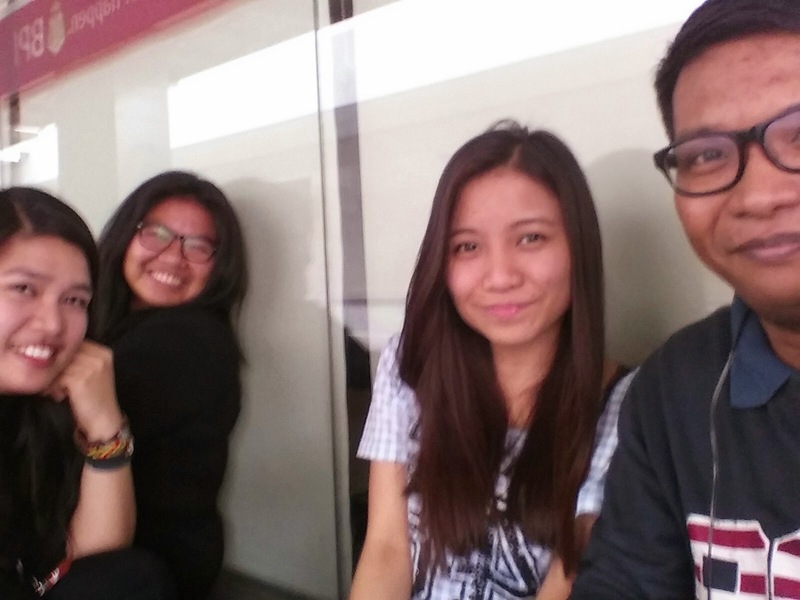 This day was really a great one!